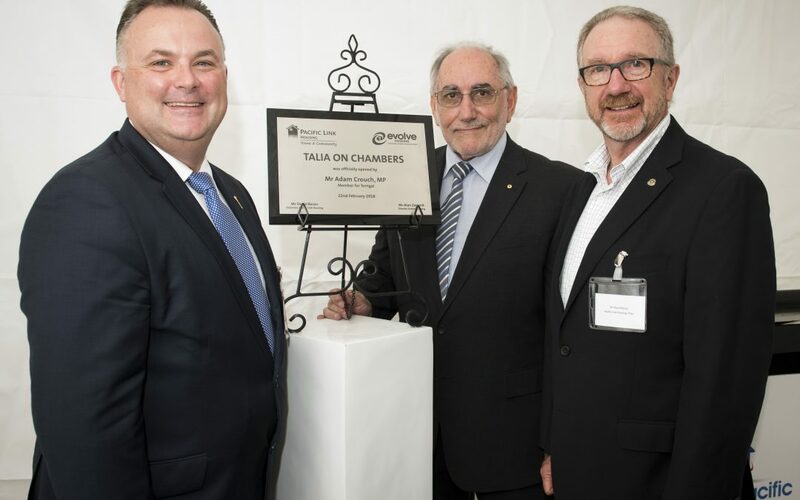 In February, Pacific Link Housing officially opened our new community housing project, Talia on Chambers in Woy Woy as part of our joint venture with Evolve Housing, as Evolve Pacific Developments (EPD). The Talia on Chambers building is bright and airy and has fantastic views across Woy Woy Bay. Intended to help level the playing field for people in financial stress, it is already transforming lives for the better and fully tenanted with 14 affordable units for people on low incomes and 17 for social housing tenants. This development model created a partnership with government to fund the provision of new social and affordable housing and address the chronic shortage of housing for people in need. We will continue to work with Evolve Housing on our Roselands project, and see the ongoing collaboration of EPD as an effective way to leverage the scale of Evolve and the local knowledge of Pacific Link to increase the supply of social and affordable housing in these areas.